Facebook, Twitter and Google are set to testify at a Senate subcommittee hearing to help find solutions to Russian disinformation. Facebook says around 126 million U.S. users may have seen Russian-linked content during the 2016 election season. Facebook's General Counsel Colin Stretch told lawmakers, "In aggregate, these ads and posts were a very small fraction of the overall content on Facebook. But any amount is too much." Top officials from Facebook, Twitter and Google testified at a Senate subcommittee hearing that covered Russian interference in the 2016 election. All three companies emphasized they were cracking down on that kind of interference. 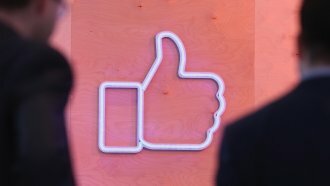 Facebook said the Internet Research Agency, a Russian company linked to the Kremlin, posted around 80,000 pieces of content that directly reached 29 million people. Then those posts were liked and shared, potentially reaching tens of millions more. Facebook also says it deleted more than 170 Instagram accounts that posted an estimated 120,000 pieces of Russia-linked content. Before this, Facebook admitted around 10 million people in the U.S. saw at least one politically charged ad purchased by bogus Russian-linked accounts. Twitter's representative testified that automated accounts posted 1.4 million election-related tweets in the months leading up to the election. And Google says YouTube channels "likely" linked to Russia posted over 1,100 videos that "appeared to be political."